Her most recent position was VP Global Field Marketing at Imperva where she successfully aligned Sales teams globally with the central marketing team in the US. 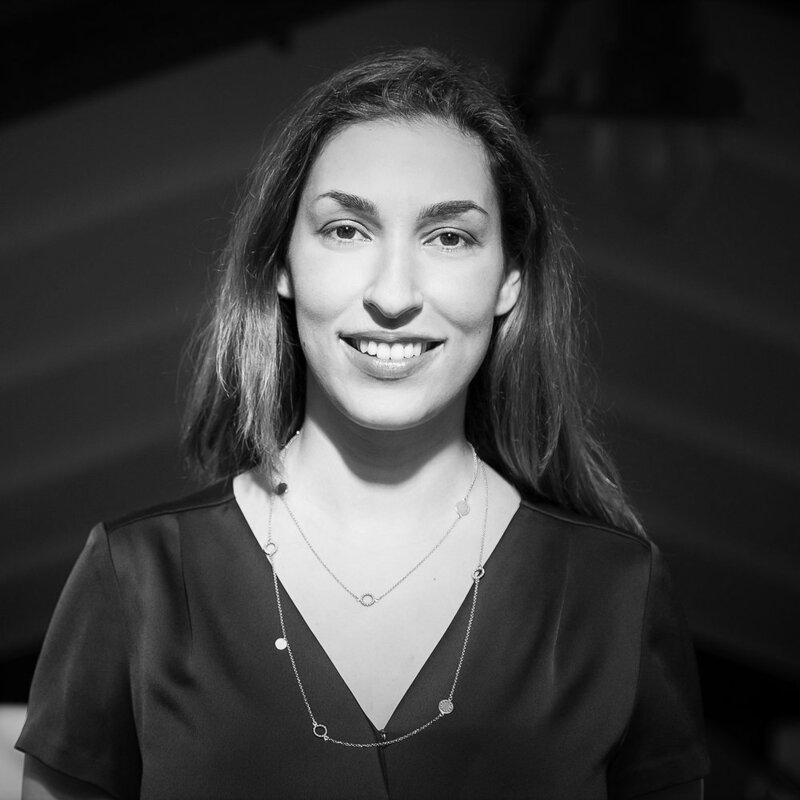 Agnes is currently the Senior Director EMEA Marketing at MobileIron responsible for leading the EMEA team to support Sales to grow the business and manage all facets of Marketing and Corporate Communications across the geography. Executive, Entrepreneur, Co-Founder Andrea Gaal holds both a Liberal Arts Master’s degree from Karl-Franzens University in Graz, Austria, with a focus on linguistics as well as a PhD in International Business Management & Entrepreneurship from Pan-European University, Bratislava, Slovakia. In all professional roles in both academia & business Andrea Gaal has always placed a major emphasis on INNOVATION. Her current research interest is ‘Trust in the Digital Age’ & ‘Profiling in the Big Data Context’, also the focus of a legal tech AI Start-Up with the ambition to apply cutting-edge Artificial Intelligence technology like Machine Learning and Computational Linguistics in B2B. Anna Iarotska is graduate of London School of Economics and a co-founder and CEO of Austrian edtech startup Robo Wunderkind. She is passionately committed to the educational use of technology and the team under her leadership created a programmable robot which helps kids of pre-school and primary school age start creating with technology. After studying business administration, the route to the US (via an internship earned a work visa) led to five years of living and working in California. Over the past eleven years, she has held various leadership positions at various global technology companies, including eBay and PayPal. Most recently, the managed the business customer distribution in the DACH region as "Director Sales" at PayPal. Her core competencies are e-commerce, corporate strategy and management. Currently, as a business manager with the team for Eventbrite in Germany, she drives the market penetration and localization of this global technology platform for ticketing and events. After studying in Spain and France Begonia began her career in the brand management of large international corporations on different continents. Her pioneering spirit of experiencing and developing new things has shaped her career to this day. After 20 years of management experience, she founded Why Consult in 2011. Since then, her expertise, cross-cultural expertise and passion for corporate diversity has been key to more innovation and growth. Last year, she was awarded by the IHK Munich as a businesswomen Role. Catrin Hinkel is Managing Director at Accenture and has headed the areas of "Health & Public Services" and "Human Capital & Diversity" in Germany, Austria, Switzerland. Currently, she is a Senior Managing Director of Communication, Media and Technology and has over 20 years of extensive work experience with clients from diverse industries such as Telecommunications, Utilities, Chemistry, High Tech and Public Service. Dr. Elisabeth Denison is Partner and Strategy Director of Deloitte Germany. In the Executive Committee of Deloitte Germany, she is responsible for topics of strategic positioning and development of the company in the context of globalization and digitization. Particular attention is paid to the digital transformation of the service portfolio. In addition to strategy and corporate development (investments, cooperation and mergers), she is responsible for the areas of Talent & Partner Affairs. She is a member of Deloitte's Global Talent Executive and Chief Strategy Officer Council. As an EMEA Talent Lead, she drives strategic initiatives to strengthen the employer brand and talent experience for some 90,000 Deloitte employees in Europe, including through the flagship project of Deloitte University. Leadership and innovation are the focus here. Dr. Karin Gallas, psychologist (Dr. phil., MSc) and business economist (MA, German Diplom, BA hons), shares the care of her three children, the family and housework with her working husband. In her professional life, she is a senior vice president who is, together with her team, responsible of the development of the HR Business Partner Operations division of T-Systems International GmbH, an internationally operating service provider for information and communication technology. In this role, Dr. Karin Gallas deals with questions of the most efficient human resources work in an increasingly agile and international setup, new customer-centric solutions with the help of data analytics, design thinking approaches, etc. as well as the active promotion of network culture and cross-functional cooperation in complex corporate structures. Together with two partners, Fränzi Kühne is the founder and managing director of the Digital Business Agency, Torben, Lucie and the Yellow Danger. Founded in 2008, the agency today has a staff of 180 and is twice the title of "Agency of the Year" of the German Prize for Online Communication. Since January 2015, TLGG has been part of the world's second largest communication network Omnicom. At the age of 23, right after completing her studies at WHU & Kellogg School of Management and short positions in investment banking and consulting, Freya co-founded her first company out of the parents' living room with a school friend. Today, at 28, Freya has already founded 2 other companies (Dreitausendsassa UG & vivere GmbH) in the field of software development and MedTech and has thus become a serial entrepreneur in the tech sector. Mrs. Hauke Stars has been a Member of Executive Board at Deutsche Boerse AG since December 1, 2012. She serves as the Chairman of the Management Board of the Frankfurt Stock Exchange. She served as Chief Information Officer of Deutsche Boerse AG. Mrs. Stars served as a General Manager of Hewlett-Packard (Schweiz) GmbH. Worked in her 20ies in many different positions as CEO and Management Board Member within a man driven business (gas branch), responsible for over 100 million €. Turned her life in her beginning 30s as a Chief Executive Explorer to do self-development and to understand the world a bit better. Now she inspires others and especially women to do what your heart tells you. To support others, to talk about your failures and built up her own company. She now works as a Deputy Chairman at Gabor Shoes and as a Founder and CEO of her own company working as an executive coach. Katja Hutter has been Professor of Innovation & Entrepreneurship at the Leopold Franzens University Innsbruck since October 2017 and Professor of Marketing & Innovation at the University of Salzburg since March 2016. Katrin leads the global Success & Services team for SAP Customer Experience, the fastest growing business unit inside SAP covering front-office suite C/4HANA and business applications for Commerce/Marketing/Service/Sales/Customer Data. Katrin’s team of almost 1400 people ensure our customers' success by accelerating their time-to-value, by helping with their adoption and value realization, and by guiding and supporting them on their transformation and innovation path. After graduating law school in Tübingen (Germany) in 2000, she graduated with a second state examination in May 2001, after which she became lawyer at Hewlett-Packard GmbH, Böblingen (Germany). During this time, she has been the EMEA Counsel for Snapfish (HP's online photo service) for five years. In 2016 Liliana was promoted Chief Operation Officer for DACH and Eastern Europe of Enterprise Services. After HP separation in four independent enterprises, she was named Country General Manager of DXC Switzerland (comprising of HP's Enterprise Services business group merged with another worldwide leader in IT services, Computer Sciences Corporation, CSC). Linda is head of the central Software development Unit and member of the executive board of Swiss Post IT Business Unit and works in the ICT Industry for 22 years. In her position she is responsible for delivering Software and Engineering services for more than 400 Applications and Services and appr. 350 Projects on a yearly basis with a team of appr. 330 Employees organized in 22 teams on 4 sites in Switzerland. Linda drives customer orientation and the movement into agile development within Swiss Post and leads the change process within her organization. Michaela Novak-Chaid has been managing director of HP Austria GmbH since August 2015, following the company's worldwide distribution into Hewlett Packard Enterprise and HP Inc .. She is responsible for the entire business of printers, printing solutions, PCs, workstations, monitors, accessories and 3D printers in Austria. Nina spent almost 13 years managing the Marketing, PR and On Air Promotion units. In 2015, Nina launched the Starwatch Austria unit and shortly afterwards, together with Markus Breitenecker, CEO ProSiebenSat.1 PULS 4, founded the 4Gamechangers Festival. Since then, Nina has been responsible for the 4Gamechangers unit and is responsible for the annual 4Gamechangers Festival in April as well as 4Gamechangers TV, the 4Gamechangers Hub and the 4Gamechangers Studioevents. Maria Geir was born in Tirol. Being half Thai she grew up with a multicultural background. At the age of 15 she got active in youth politics mainly engaging herself in youth participation under 16 and diversity topics on EU-Level. She pursued her studies at the Vienna University of Business Administration and majored in International Finance, Entrepreneurship and Innovation Management. Moreover she did her CEMS Master at HEC Paris. Mariana Avezum, 28, is the founder of the WARR Hyperloop team, the interdisciplinary student team at the TU Munich who went on to winning, three times, the SpaceX Hyperloop Pod Competition. The team designed, built, and tested a functional prototype for the new mode of transportation. She has now started a PhD in the area of multimodal transportation, and is researching how all the different mobility providers can and should communicate with each other, in order to ensure that the future of mobility is as flexible as possible. Martina Neef is an entrepreneur, investor & strategic advisor on Entrepreneurship, Education and Startups. It uniquely combines a diverse background in technology and business. She started her career as a mechanical engineer and learned basic practical manufacturing techniques such as turning, milling and welding in addition to her studies. After completing her studies at the San Francisco Opera, Martina Neef worked as an engineer and supervised the planning, construction and implementation of the construction of a temporary venue for the opera house. She later completed her education in economics and marketing at UC Berkeley. This background and her appreciation for developed and emerging countries gave her the opportunity to work across different industries and continents. Melanie is the founder and CEO of Master21, the first company to offer coding bootcamps in Switzerland in 2016. Master21’s purpose is to empower people to speak tech and shape the (digital) world. So far, 250+ people have attended their courses. Prior to Master21, Melanie worked as a client partner at the digital agency Ginetta where she felt the need to better communicate with software developers and decided to learn to code. Melanie holds degrees in International Management and Requirements Engineering. In 2018, she made it onto the the Forbes 30 under 30 DACH list and won the Female Innovation Recognition Award. Besides Master21, she is on the board of the Impact Hub Zürich Association and WE SHAPE TECH. Founder Ms. AI and former global leader at Google and Microsoft Nancy Nemes is a tech trendsetter and a hands-on leader with 20 years of global experience in high tech across Europe, USA, Canada and South America. She is the founder of Ms. AI, an international platform that supports women to participate, grow and win in the space of Artificial Intelligence. As 600 million adolescent girls will enter the global workforce in the next decade, Nancy feels a strong calling to support girls and women to develop relevant skills so they can shape a glorious future for themselves and their co-humans in the automation era. The globalization of the economic life, high market volatility, increasingly shorter business cycles and increased overall complexity: In today's age, upheavals in everyday business life are more present than ever. The willingness and ability to change, sometimes profound, has become vital to organizations. Business transformation programs are complex, cross-divisional initiatives in a company geared towards performance improvement and / or cost reduction, and, embedded in the overall strategy, ensure the long-term existence of the company. Supporting these transformation programs is one of Petra Jenner's key tasks today. Petra is a pioneer in the mobile industry. She is one of the first women globally to co-found a mobile company in 2005, and has been successful in growing Smaato to become one of the largest mobile companies in the world. It is also the largest independent global mobile advertising & real-time bidding exchange in the mobile advertising industry, with headquarters in San Francisco & offices in New York, Hamburg, Berlin, Singapore, Shanghai & Jakarta. Prior to her career in mobile, she was a pioneer and very successful in e-commerce. Jivka Ovtcharova is Head of the Institute for Information Management in Engineering at the Karlsruhe Institute of Technology (KIT) and Director for Process and Data Management in Engineering in the field of Intelligent Systems and Production Engineering at the Research Center for Computer Science (FZI) in Karlsruhe. In the virtual age, she draws a line between the liberation of the human spirit during the Renaissance and the Internet of Things, which she believes should be understood as an "Internet of the senses". At the center of her work is the Resourceful Human and its role in the all-encompassing digital transformation of the economy and society. In one of her Lifecycle Engineering Solutions Centers (LESC), new ideas in virtual worlds can be implemented quickly and underpinned by far-reaching publicity measures. Founder, Initiator & Member of the Board at Initiative Women into Leadership e.V. Born 1970, Sabine Hansen studied business administration at WHU and graduated in 2002 with an MBA from Northwestern University, Kellogg School of Management, Evanston/USA. As Director, located in the Düsseldorf Office, Sabine Hansen specializes in the Technology Industry and chairs the Kienbaum Female Desk. Her consulting offering covers the expansion, development and retention of top female leaders on a national and global level and across all functional areas. Prior to joining Kienbaum Sabine Hansen served as Managing Director at one of the major German owner-managed executive search consulting companies. In today’s climate of disruption, radical technical advances, and shifting human behaviours, together with her teams and colleagues, she is driving the digitalisation of Mercedes-Benz Cars to ensure that they remain a successful and meaningful mobility provider for generations to come. Their company purpose is to develop services, products and experiences that truly move the world. To achieve this vision, her core task is enabling the organisation’s digital transformation, the development and delivery of cutting edge innovations, and establishing a modernized, future-proof and secure IT landscape - including the ongoing maintenance and successful operation of the major digital and IT systems and infrastructure for the Mercedes-Benz Marketing and Sales systems. Solveigh Hieronimus is a Partner at McKinsey & Company, based in Germany. She leads McKinsey’s Center for Government Innovation (MCG) and predominantly serves clients in the Public Sector on topics covering Education, Employment, Public Health and Public Finance across Europe, the Middle East and the Americas. Most notably, she leads McKinsey's work on Refugees and Migration as well as on the Future of Work and Employment in Europe and has been at the center of supporting governments across the EU in both their emergency responses as well as their structural reforms for over a decade now. As the Managing Partner of Startup Live, the leading startup acceleration program in Europe and one of the largest startup communities worldwide, Tanja is responsible for helping founders implement their business ideas and connect them internationally with relevant players. Startups like Runtastic, Shpock, Codeship and mySugr are among the successful alumni of the program. 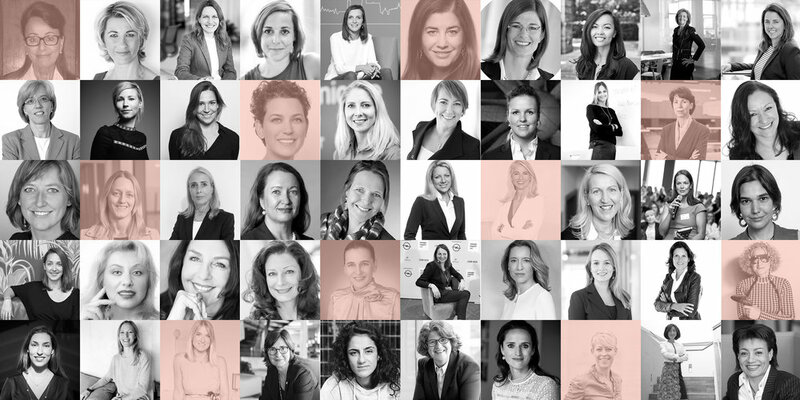 Tanja is also a co-founder of Female Founders, the European Hub for female entrepreneurs, that empowers, inspires and connects. Tijen Onaran is an entrepreneur, presenter and speaker. With startup affairs, she advises companies in PR and public relations work as well as in building and maintaining communities. With her Global Digital Women initiative, she supports networking and visibility of women in the digital industry. Tijen Onaran also publishes regularly as a member of the Handelsblatt Expert Council and as a columnist for Lead Digital. She was appointed to the Faculty Board for "Digital Leadership" at the Management School St. Gallen. Tina is co-founder of SHIFTSCHOOL, Germany’s first academy for Mindset & Digital Leadership. She studied International Business and worked internationally in marketing and CSR before founding her own company. As a mother of three children, (digital) education is very important to her. She is a strong advocate of an educational reform and is committed to more female founders as well as more visibility of women in the digital economy. Tina is a passionate bridge builder between analog and digital worlds. Tina is responsible for the Corporate Communication of Facebook in Germany, Austria, Switzerland, Benelux, CEE and Nordics and in recent years Israel and MENA. Tina has an experience in Public Relations since over 20 years and worked for international companies in the field of tech, internet, mobile as well as communication, marketing and design. Volunteering: In 2015, together with three of her sisters, HAWAR.help e.V., she founded a human rights organization dedicated to education integration and women's rights. Meanwhile, Hawar Help is funded by the Federal Ministry for Development and Cooperation. In 2016, she launched the project "Scoring Girls" (free soccer games and integration aid for girls with a refugee background and locals from socially disadvantaged districts). In 2017 Tuğba Tekkal received the special award "Voluntary Engagement in Sport" of the City of Cologne. In 2017 she was nominated for the Take Off Award in the special category Women's Rights with her soccer project Scoring Girls. On various stages Tekkal talks about her work as an experimenter in her role as a woman, sportswoman and German with a history of immigration. Vera Schneevoigt, Senior Vice President, manages Fujitsu's international product business. In this position she implements strategic goals of the company with international initiatives. Fujitsu's Product Supply Operations Service Platform currently has more than 100,000 customers and 45,000 partners worldwide. Vera Schneevoigt's area of responsibility includes research and development, purchasing, production as well as quality and supply chain management. These four areas play a vital role in managing global processes and fostering innovation. As Founder and CEO of Fox & Sheep (2012) and HABA Digitalwerkstatt (2016) Verena Pausder is passionate about the digital life and education of children. While they can discover the digital world in a playful and gentle way by using Apps like “Nighty Night” or “Little Builders” from Fox & Sheep, they look behind the digital scenes and are empowered to shape their world in an active and creative way at HABA Digitalwerkstatt. Deep understanding of transforming the business in the digital era; leading digital transformation in complex global organisation (Europe, USA, Asia); building digital platform by leveraging cutting edge technology, AI & big data; 20 years C-level management experience at multi-national DAX and MDAX companies; Strong leadership with inter-culture skills and experiences; Growing business with China and/or in Asia; Systemic Coach with certification. Ms. Balzer studied Business Informatics and has worked 20 years as Strategy and Management Consultant. After her study at University of Mannheim she started her career at IBM as system designer. During her 17 years at IBM she received outstanding consulting & technical awards like the highest technical IBM Corporate Award, IBM Engagement Excellence Award and was honored as Pan-EMEA e-Designer. Additional she graduated in Intercultural Studies at Columbia International University and completed her Management Executive Education at Boston University School of Management & M.I.T. Today she is Director and Member of the Management Board at Kienbaum Consultants International GmbH, leads the business location Düsseldorf and established the Digital Unit & Innovation Garage.